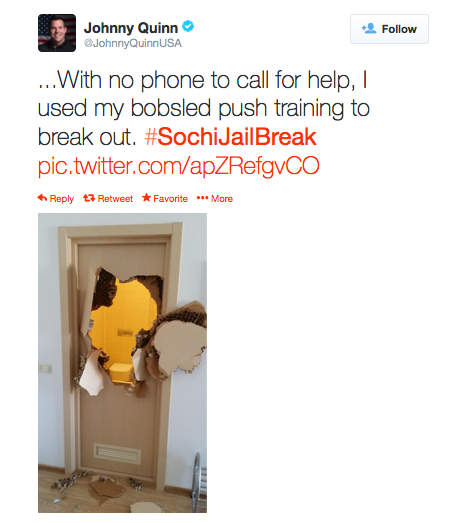 Hating on Sochi's unpreparedness for the Olympics has become a sport in itself, with people complaining about pretty much anything they can get their hands on. As soon as it started, it felt like an internet riot in the making - sooner or later the stories were bound to become fabricated and exaggerated to make Russia look even worse than it already did. This is not an article defending Russia. I don't agree with what is going on in that country, but that does not give people the right to be terrible guests. 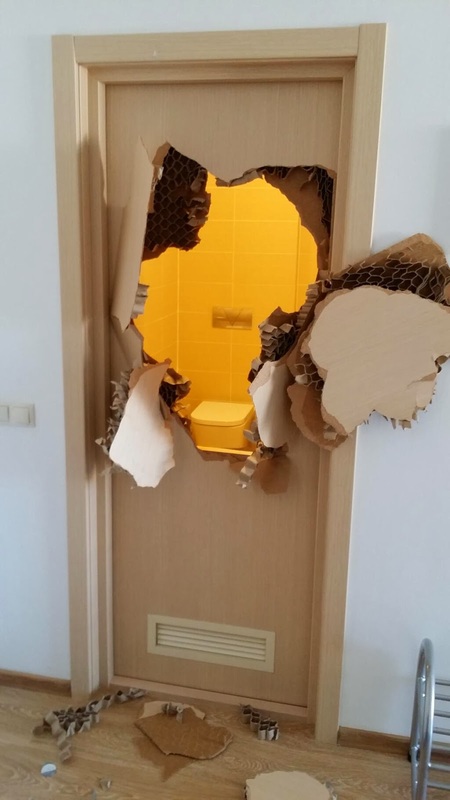 Earlier today a member of the US Olympic Bobsleigh team posted a photo to Twitter of a bathroom door with a giant hole in it. Would you do that anywhere else? Absolutely not. It is an excessive reaction that is apparently justified because the world has a giant hate on for Russia and five star accommodations were not rolled out for every person entering the town. I would hope that if the Canadian athletes pulled something like this they would be reprimanded. It's just plain rude and uncalled for. The stories about the 'poor conditions' are the ones that we hear about because people prefer bad news to good and 'everything is fine here' is not really news worthy, but come on. Besides stories of people not liking the fact that they are in basically the third world, (it's Russia, you sound stupid for thinking it was going to be great to begin with) it's not all bad. Until I hear of someone being kidnapped, shot, or beaten on the street by the mafia - everyone just needs to calm down. Let's just get into the Olympic spirit and start to focus on the athletes. Have some pride people.